An Ultimate pair‒ magic of bygone era and blissful modern day luxury! 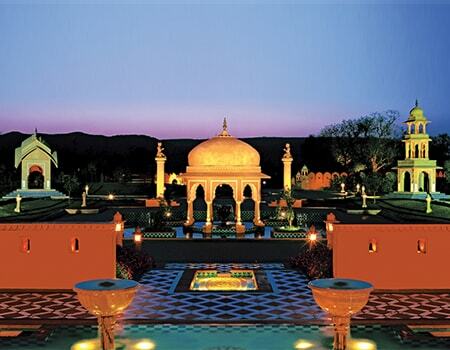 Fly India to check-in in one of the lavish and classiest properties of capital- The Oberoi. The moment of lush begins here in Delhi to make you time travel the bygone luxury while exploring Red Fort, Humayun’s Tomb, Jama Masjid, Chandini Chowk, Qutab Minar, Lotus Temple, Akshardham Temple and the Gandhi Memorial at Raj Ghat. Take bites of all world class cuisines along with royal Mughalai food. Charms of Delhi will serve you world class markets embellished with unique and beautiful souvenirs. With us Delhi means abundance of lush. Witness the bliss of this epic wonder of the world from the first morning ray to shining moonlight, from the bosom of this royal palace to the comfort of your suite. Along with the sparks of Taj Mahal you will get to see The colossal Agra fort, beautiful Mehtabh Bagh and all other splendid attractions of city. A visit to nearby royal capital Fatehpur Sikri is like a regal walk into the bygone majesty. Dazzling forts, magnificent architecture and pink magic! Feel the charisma of Jaipur while sitting on the back of majestic elephant on the lavish entrance of Amber fort and driving towards the brilliant City Palace. The tale continues with Jaigarh fort, Albert Hall, Jaipur Heritage Walk and a lot more. Listen the royal tales of Maharajas narrated by outstanding pink painted architecture and markets of the city. And this is your turn to taste the dishes once cooked in royal kitchens with rich ingredients. Arrive back in the capital of country for culture, heritage, good food, elegance, lovely history and a lovely back home departure. 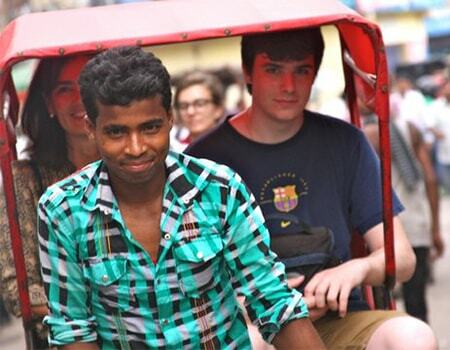 Our India Tour packages score an average of 4.97 out of 5 based on 58 reviews in the last year. Myself and my husband travelled to India for 6 nights tour. LIH team was well efficient to plan up our vacations well as they were so flexible to fit my requirements in our personal tour. We had a great time staying in Oberoi Hotels, tasting Indian food, driving through countryside and our driver Mr. Singh was ready to show us something new each day. Special Activity: Elephant Ride at Amber Fort in Jaipur. One Still Camera usage fees at monuments during your sightseeing. Water Bottles during your long drives between destinations, Day Excursions and City sightseeing. Car will be equipped with Ice Box and First Aid-Box. Fuel, toll-tax, driver’s allowances and parking charges.